The digital era has profoundly altered the way news is produced and distributed, confounding traditional library strategies for ensuring the survival of this critical type of historical evidence. 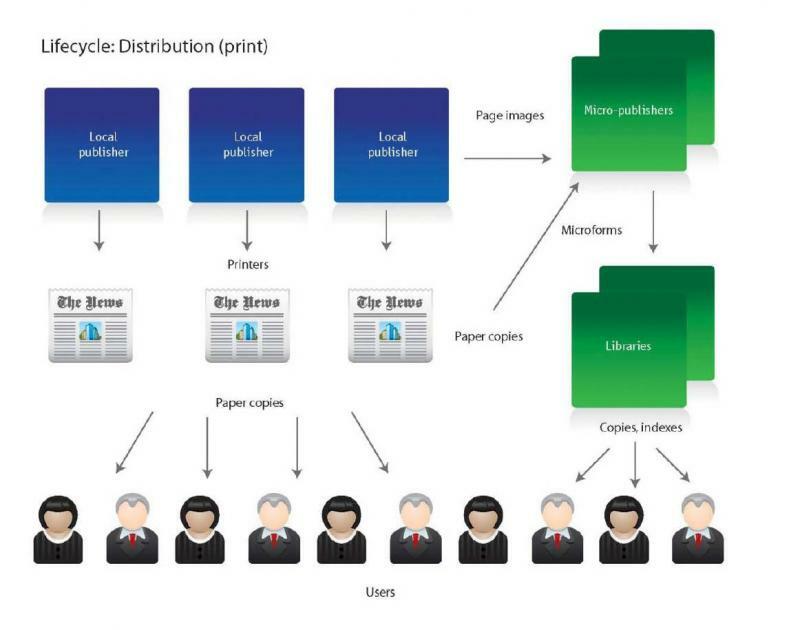 As mobile and web technologies become the primary channels for news distribution, and electronic databases supplant print and microfilm, the role that libraries play in supporting scholarly access to news is changing. In the digital environment, building and maintaining “collections of record” no longer ensures adequate and persistent access to news content for scholars. On Thursday, June 27, in conjunction with the ALA Annual Meeting in Chicago, CRL held a Global Resources Roundtable, “Beyond the Fold: Access to News in the Digital Era.” The event provided an opportunity for collection development and subject specialists from CRL libraries to explore current publishing practices and new scholarly uses of news content, and to help formulate cooperative library strategies to support those uses.